St. Louis-based Pushup Social was one of 20 startups selected for Plug and Play Ventures’ retail accelerator in Silicon Valley. The program, which begins Monday, helps connect startups with corporate partners such as Proctor & Gamble, AB InBev and Samsung. Successful companies that have graduated from the accelerator include Dropbox and Paypal. Pushup developed a plugin that embeds a social network platform onto websites. 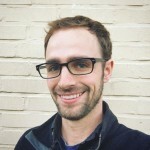 Founder Dan Lohman announced the news in an email to Pushup supporters. Chronicle :: Ferguson, a crowdsourced photobook project focused on the events surrounding #Ferguson, is halfway to a $25,000 Kickstarter campaign goal. The project, run by St. Louis Confluence, the parent organization of TEDxGatewayArch, is hosting a concert and panel discussion about modern journalism Friday at the T-REX building Downtown. Find more information about project and event here. St. Charles-based Grillinator, which develops and sells BBQ equipment, has completed a prototype and will soon launch a Kickstarter campaign for its newest grilling tool, “The Ultimate Grill Brush.” News of the planned launch was posted to social media by OPO Startups, a St. Charles coworking space where Grillinator is a member. 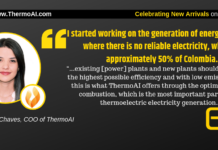 Updates about the product launch can be found here. Arch Grants on Wednesday celebrated the official unveiling of new commitment levels for its fundraising program, Friends of Arch Grants. The memberships begin at $45 per year and go as high as $1,200 per year for the platinum level. 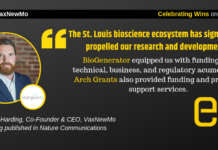 Perks include tickets to Arch Grants events, networking invites and opportunities to meet one-on-one with Arch Grants winners. 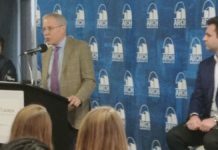 The nonprofit annually awards $50,000 non-dilutive grants and pro bono support services to entrepreneurs who grow their early-stage businesses in St. Louis. 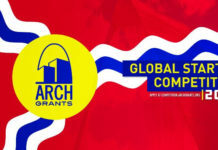 Read more about Friends of Arch Grants here. 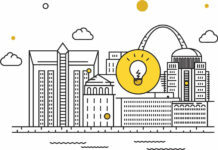 Registration is open for ProductCamp St. Louis 2016, held at Webster University on Feb. 27. Apply here. Registration for Prosper Women Entrepreneur Startup Accelerator applications for Fall 2016 is open. Decisions will be made by late summer. Apply here.